How much do you think you’ll spend on greeting cards this Christmas? According to the National Retail Federation’s Holiday Consumer Spending Survey, we spend an average of $29.18 on greeting cards every holiday season. Sure, 30 bucks may not sound like much, but it’s another expense that can screw up your holiday shopping budget. That holds true even more so especially for those of us with big families and a lot of friends. You can’t just stop giving Christmas cards to family and friends. 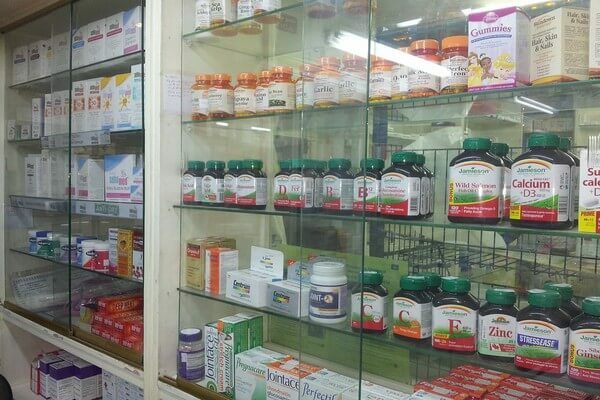 That’s where Christmas freebies can be a real life-saver. 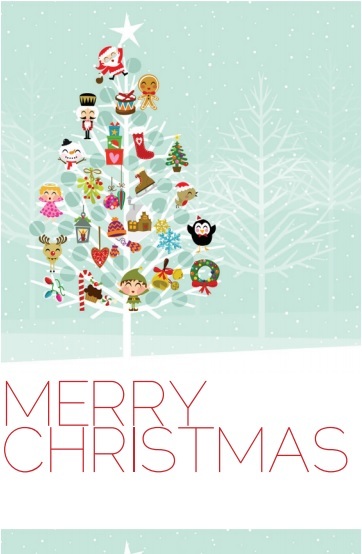 Online, you can find dozens of free Christmas card templates. And, many of them can be customized in minutes. Or be sent as eCards! 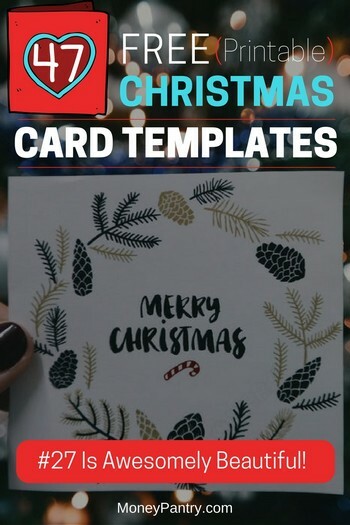 What I particularly like about using these unique holiday greeting card templates, besides saving money, is that you can edit and customize them to your liking, much like these free printable Christmas gift tags we shared recently. You can make each one a unique piece that you just can’t get with store-bought cards. It becomes an instant DIY Christmas gift that will stand out. Finding greeting card templates that are truly unique can be a hassle, to say the least. 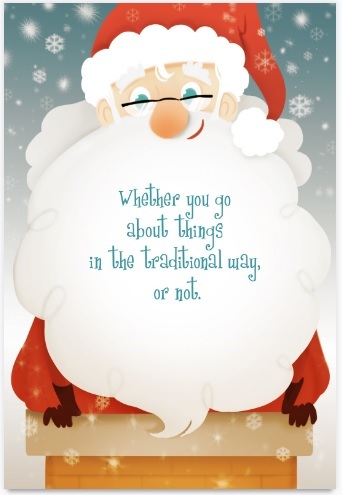 But with Santa on your side, you don’t have to spend a second searching. This modern Santa face card is great for friends and family members of all ages. 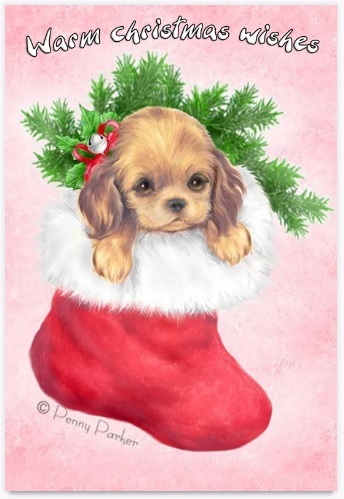 For dog lovers, this free printable holiday card that features an adorable puppy in a stocking is sure to be a huge hit! 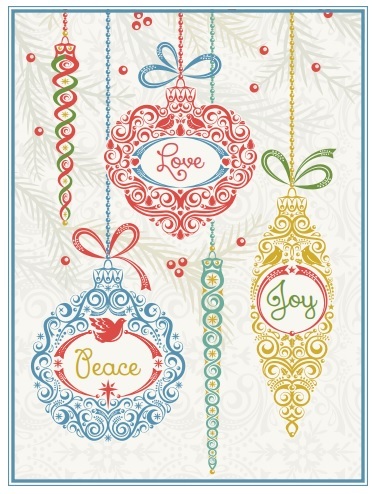 This beautiful holiday card features intricately designed Christmas ornaments and the words “Peace,” “Love,” and “Joy.” Get this card here. Featuring a wintry blue background and snowflakes, as well as Christmas ornaments, this card is sure to make the recipient feel Christmassy! 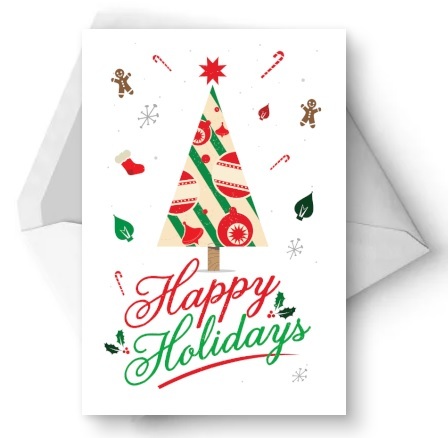 This card includes a Christmas tree on Christmas eve. 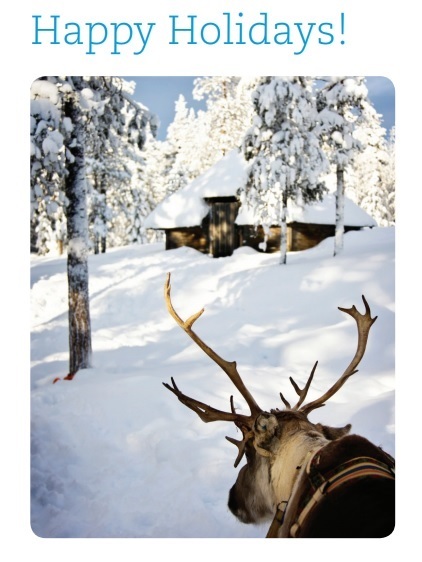 Get this free Christmas card template featuring a photo of a reindeer in the snow here. 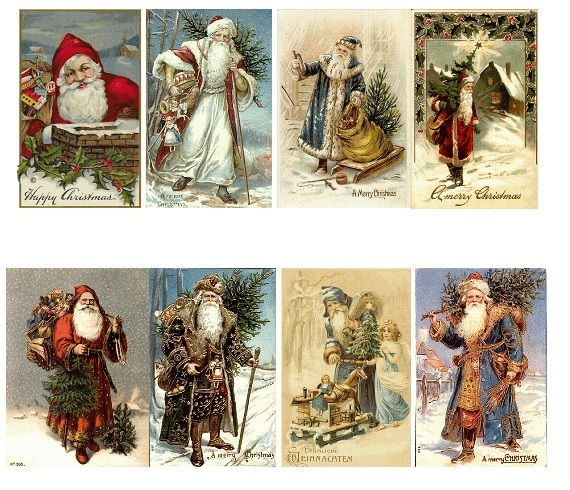 If you love Victorian Christmas cards, then you’ll love this collection. 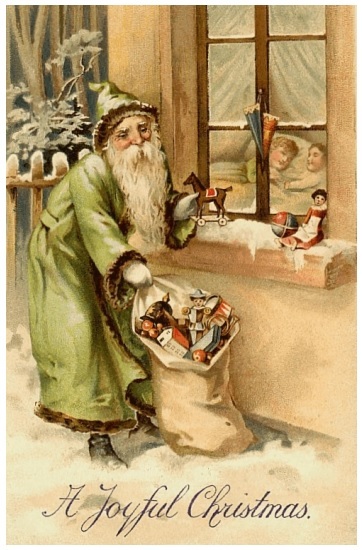 Check out the selection of free Victorian Santa Christmas cards here. 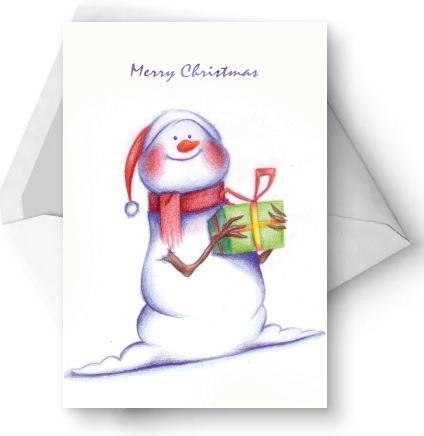 How cute is this snowman card? You can get it for free here. 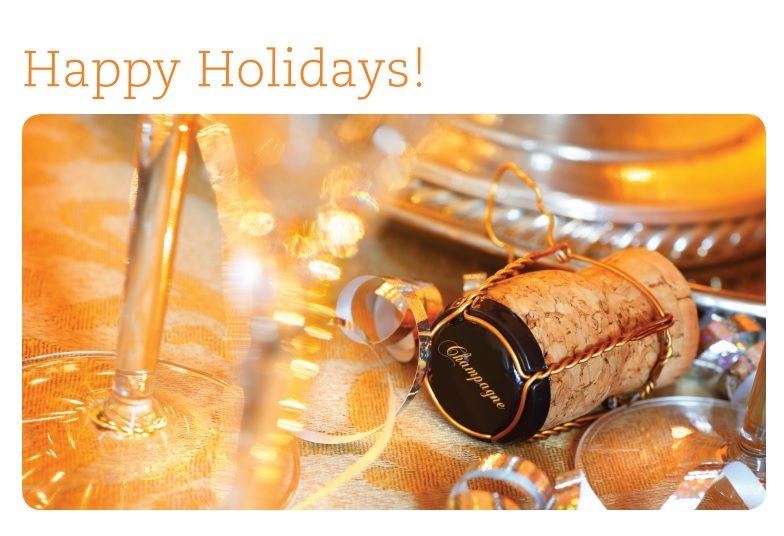 This celebratory Happy Holidays card features a champagne cork and glasses. Get it here. 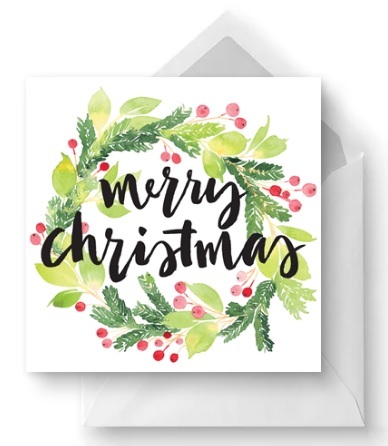 Get this Merry Christmas card, which includes a beautiful watercolor wreath, here. 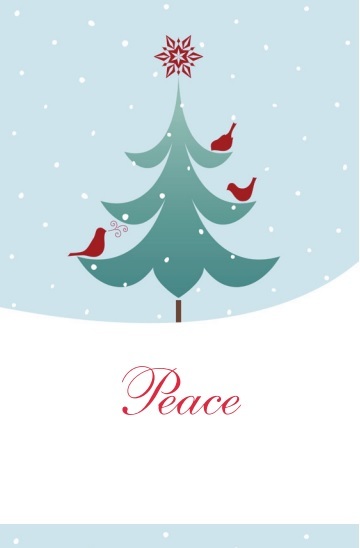 Including the word “Peace” and a blue tree in a wintry setting, this card is a great choice if you’re looking for a simple, but beautiful design. 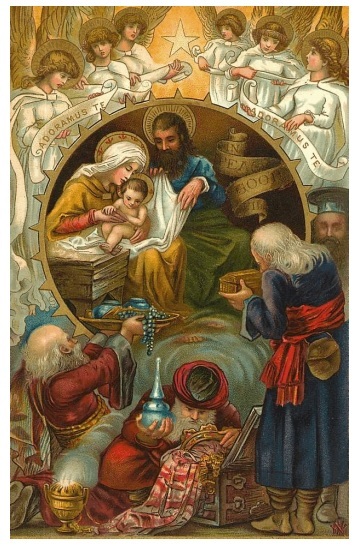 This traditional Christmas card features an image of the nativity scene. 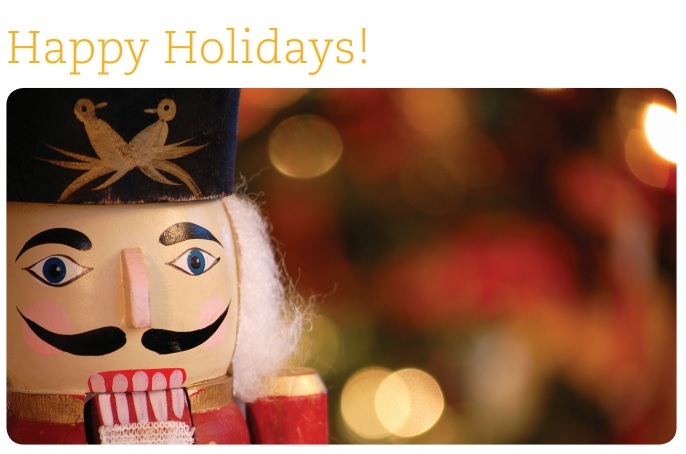 You can get this card that includes a photo of a nutcracker here. 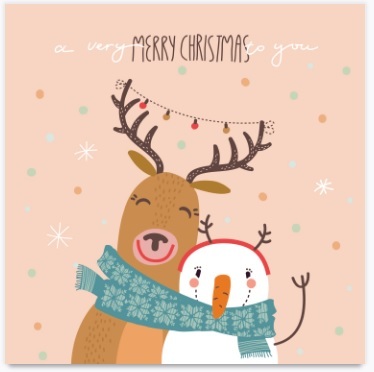 Featuring an adorable snowman and reindeer cuddling together in a scarf, this card is sure to warm the heart of whoever you give it to this Christmas. 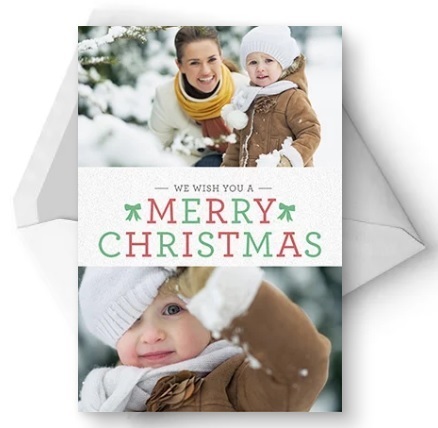 This holiday card includes a photo of a Christmas tree outside in the snow. 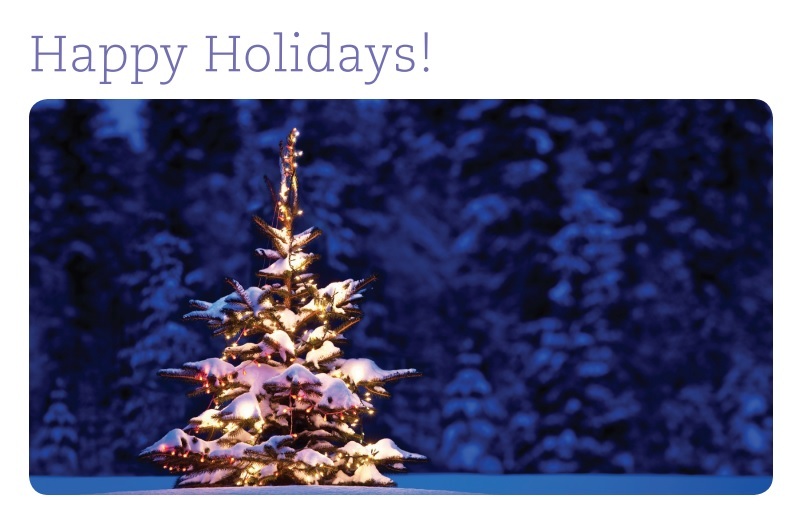 If you’d like to send a more personal card this year, then check out this one. You can add your own photo to it. 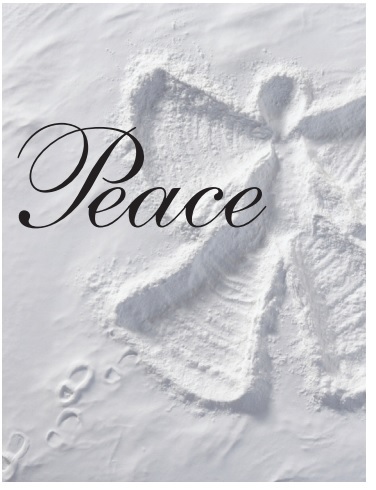 This free greeting card includes a snow angel and the word “Peace.” You can get it here. Another great option if you love more traditional cards is this one. It includes Victorian children in the snow. Get it here. 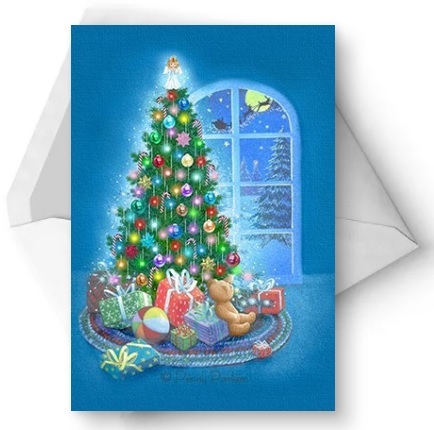 Get this Happy Holidays card, which includes a patterned Christmas tree here. 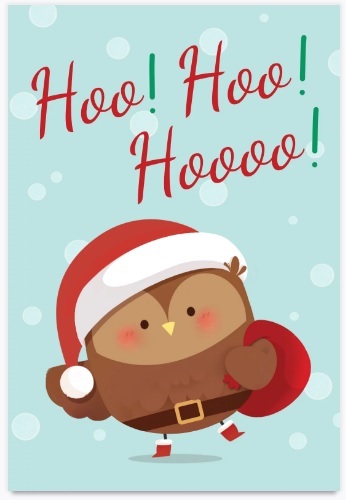 This card includes an adorable Santa owl! Get it here. How cute is this happy snowman holding a Christmas gift? 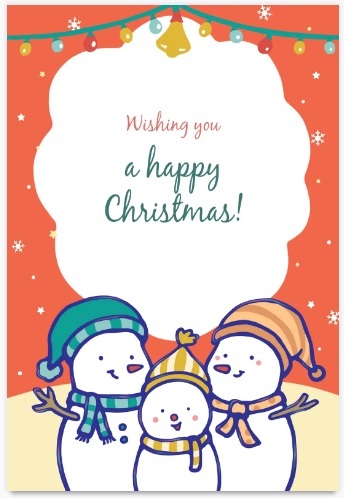 Get this adorable Merry Christmas card here. 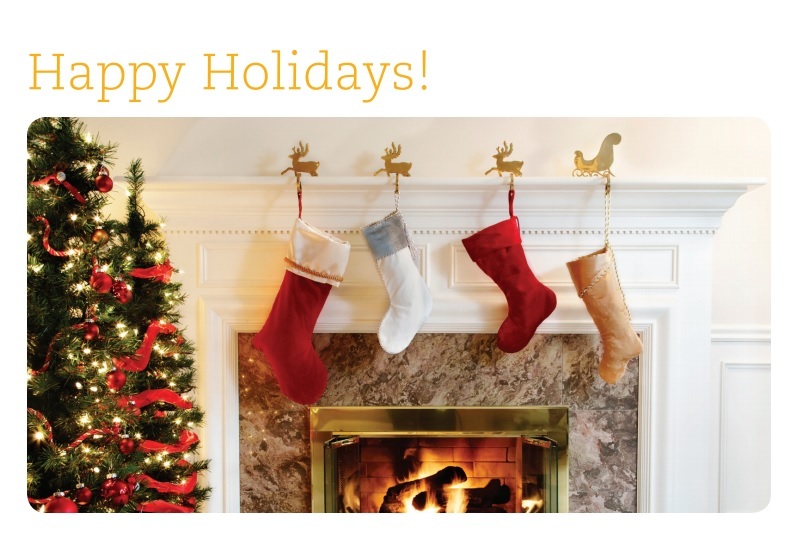 Christmas stockings hanging over the fire are the focal point of this super festive Happy Holidays card. 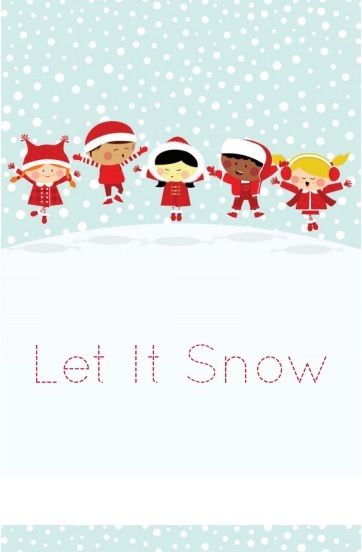 You can get this Let it Snow Christmas card for free here. It’s a great choice if you want something cute with a modern twist. 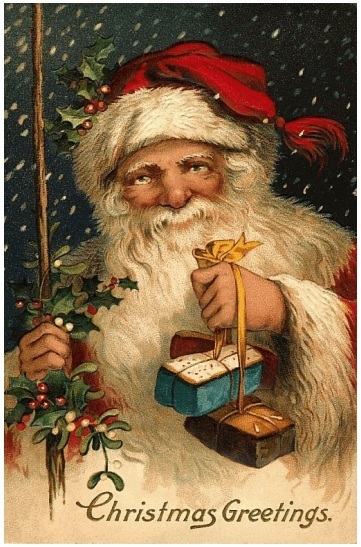 Get this free printable Victorian Santa Christmas card here. 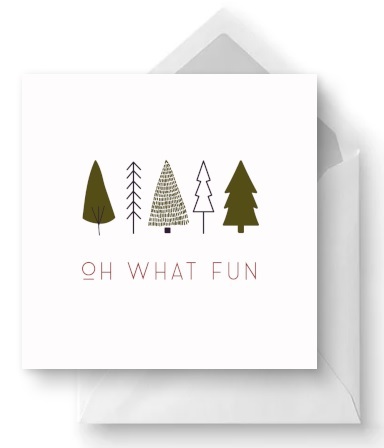 This card includes a tree filled with holiday favorites, like elves, penguins, reindeer, and gingerbread men. 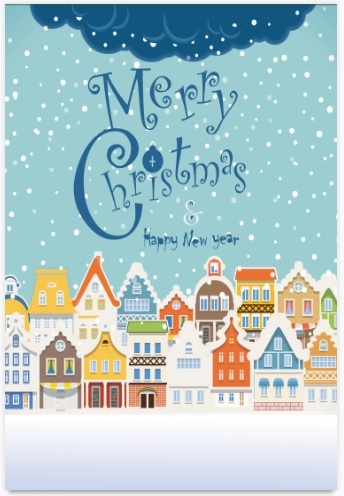 This Merry Christmas card features houses in the snow. 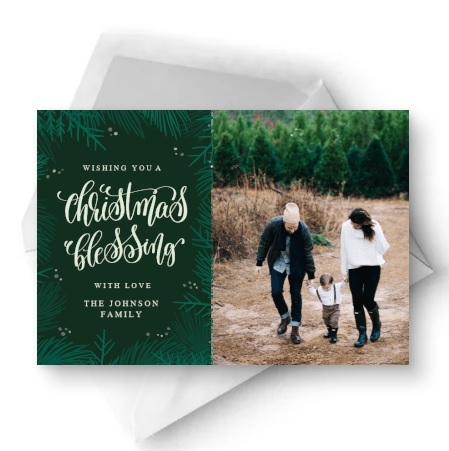 Include a photo of you and your family on this Christmas Blessings card. Looking for a free vintage Christmas card? 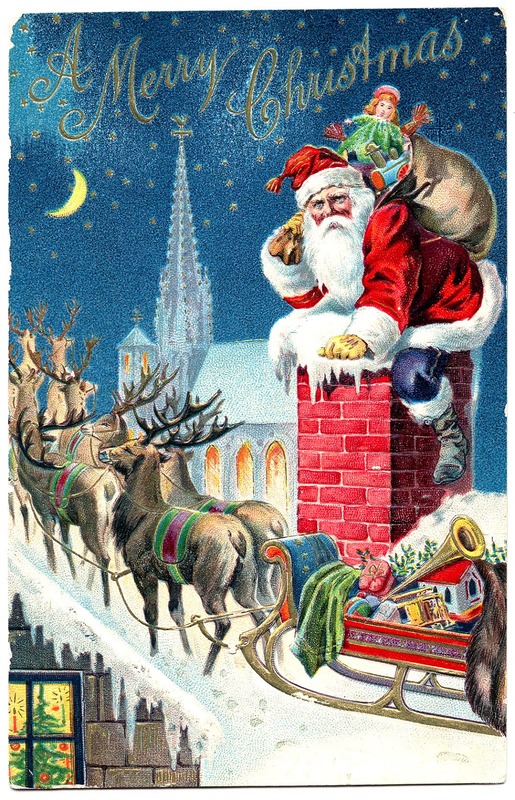 If so, check out this one that features Santa going down the chimney. Fancy something a bit more modern? 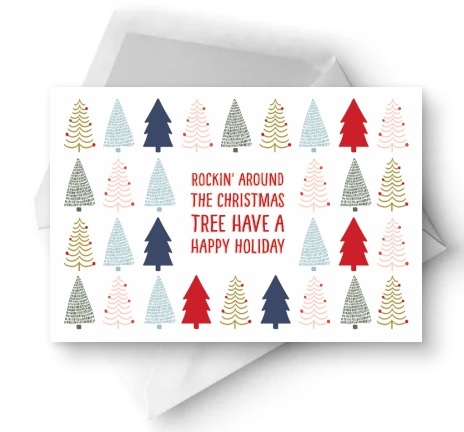 If so, then you’ll love this fun Rockin’ Around the Christmas tree card. 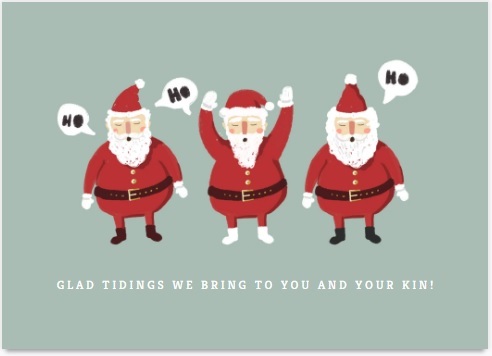 This contemporary style holiday card features three Santas. Get it here. 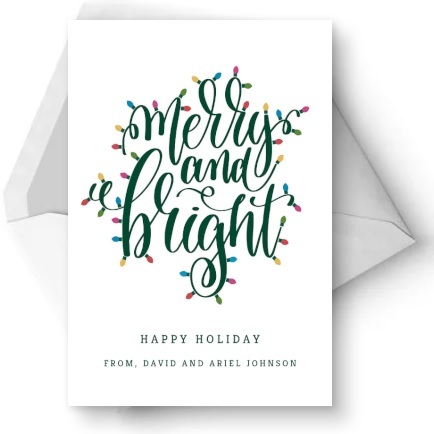 This Merry and Bright Christmas card includes Christmas lights. 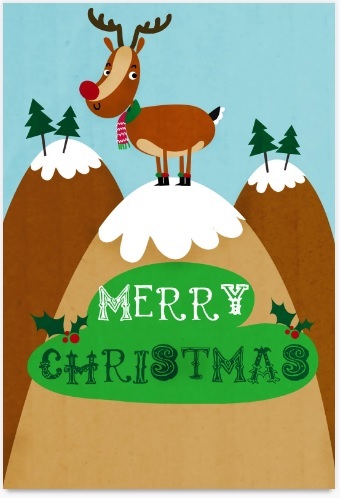 This Merry Christmas card includes an adorable reindeer! 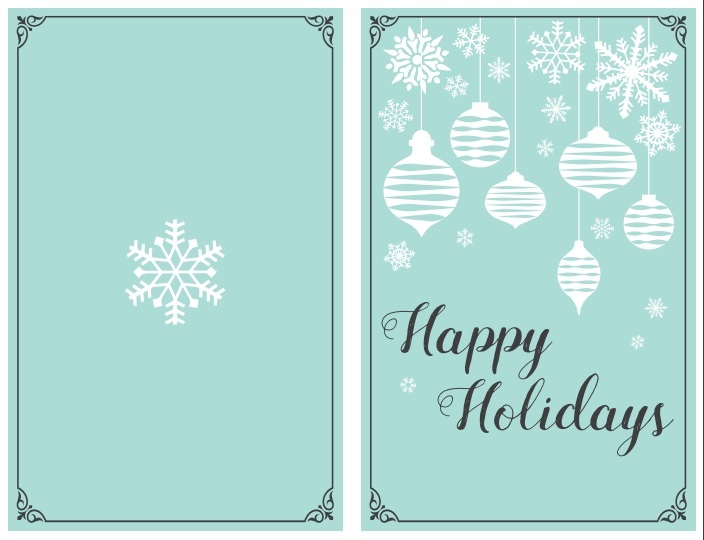 This blue Merry Christmas card features Santa, snowflakes and plenty of other holiday staples! 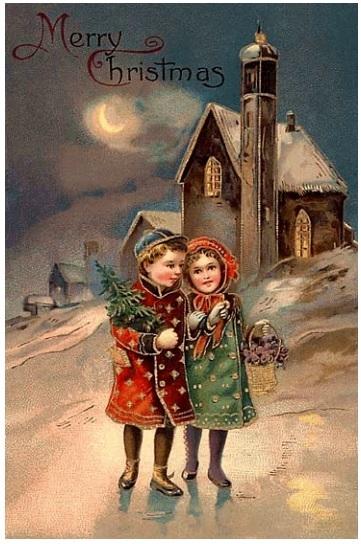 If you love Victorian Christmas imagery, then you’ll love this Christmas card. It includes a Victorian Santa delivering toys. 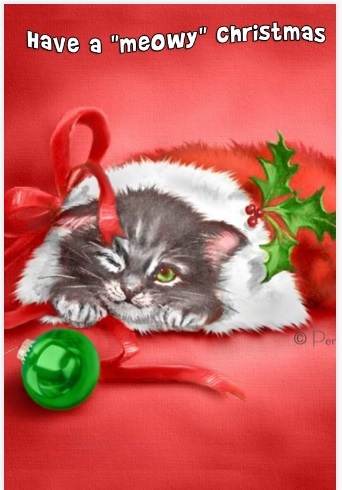 Make cat lovers laugh with this “Meowy” Christmas card. 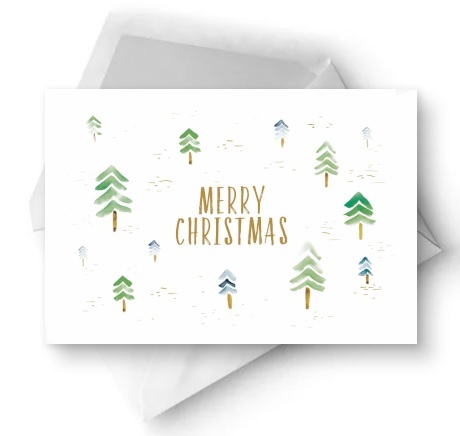 This modern Christmas card depicts a watercolor forest. 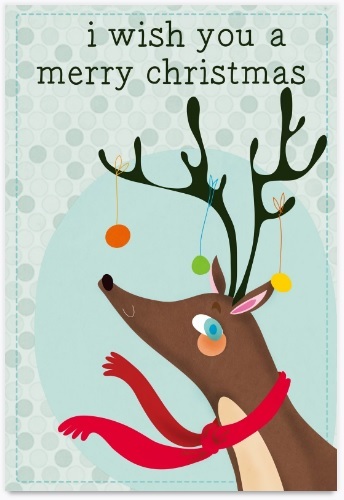 This cute card shows a reindeer with decorated antlers. Get it here. 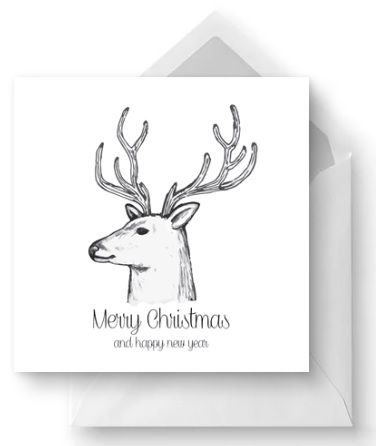 Get this free Christmas card template, which features a majestic stag, here. If you’re looking for a contemporary Christmas card, then check out this one. 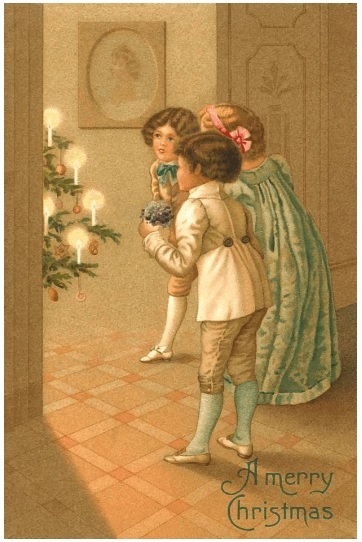 This Victorian-style Christmas card has an image of children around the tree and features some beautiful colors. 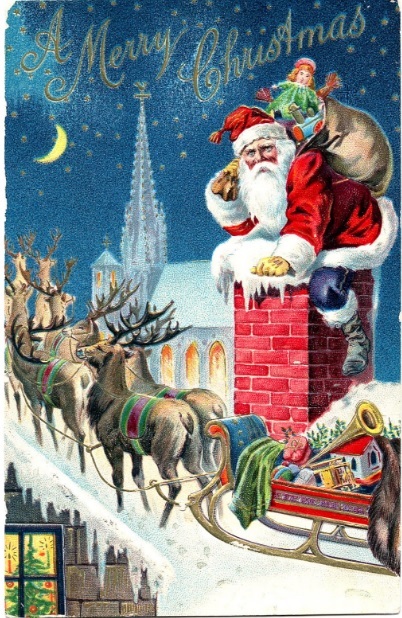 This card includes Santa in a chimney, with a Christmas message in his beard! 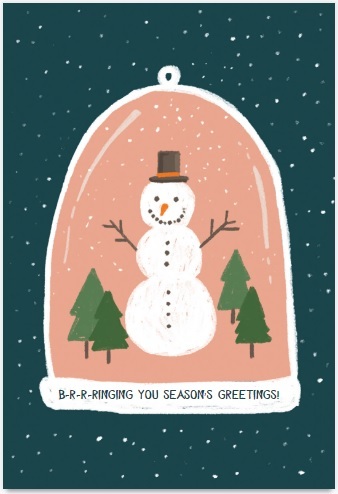 This holiday card features a super cute snowman family. 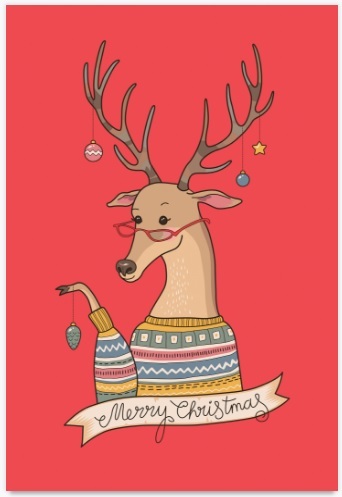 Featuring a reindeer wearing glasses, a Christmas sweater, and decorations in his antlers, this card is perfect if you’re looking for something fun and quirky. 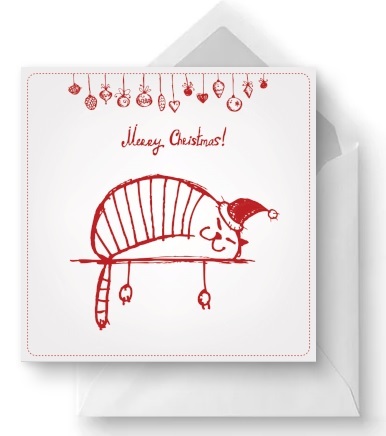 This cute Christmas card includes a cat in Santa hat! 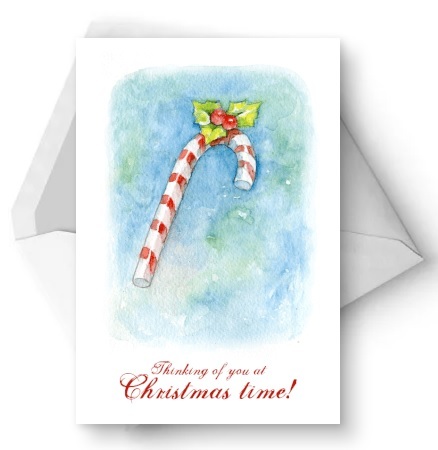 This card, which includes a candy cane, is ideal if you’re looking for something more traditional. 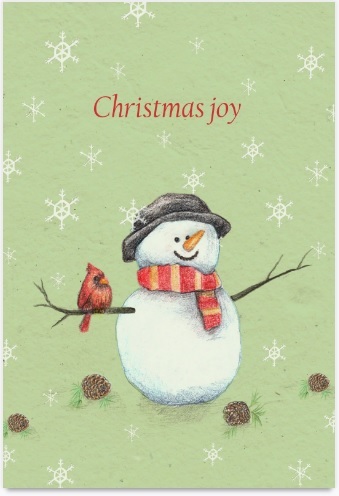 You can get this card, with a smiling snowman here. 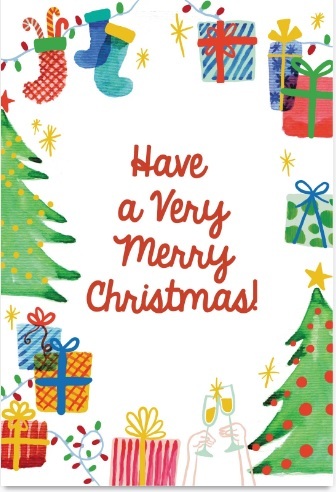 Bright and cheery, this Merry Christmas card is sure to put a smile on the face of the recipient. 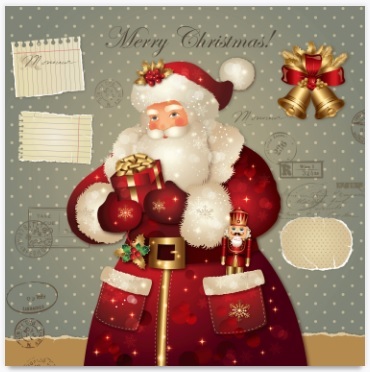 This card features an image of a classic-style Santa card. You can get this card here. 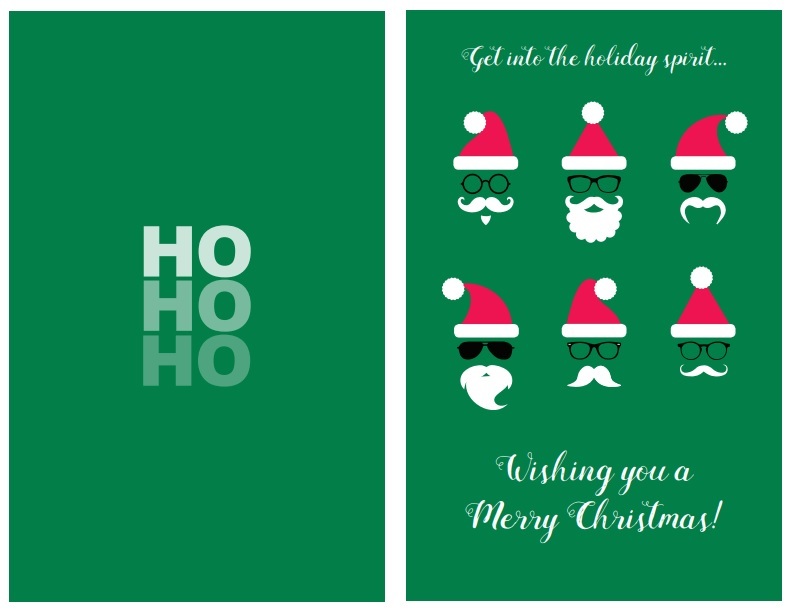 As you can see, you can find some really amazing Christmas card templates that are totally free! All you need is a printer and some nice cardstock paper. 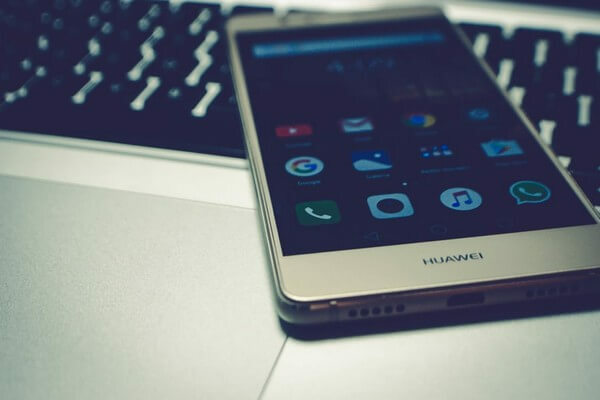 Some of these are also great for photographers in the family since you can create photo cards with your favorite pictures. So save some money this holiday season by printing and customizing some of these amazingly beautiful Christmas greeting cards. 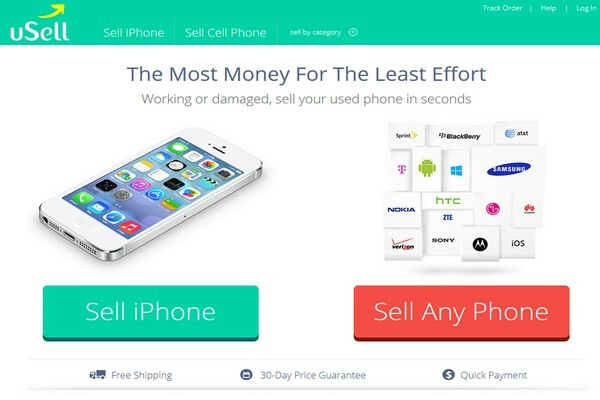 uSell Review: a Legitimate Site to Get Cash for Your Old Cell Phones?